Never under-estimate the power of the t-shirt. It can take you from day to night, from board meeting to shopping spree, from power-walk to power-lunch. A simple t-shirt with the right jacket and statement necklace can be the perfect foil to an outfit. Tucked-in, hanging out, sleeves rolled up - it's a versatile friend, whichever way you wear it. I've been surprised by the fact that lots of t-shirts I've seen whilst shopping recently seem to be a polyester mix - something I've been seeing more and more of. 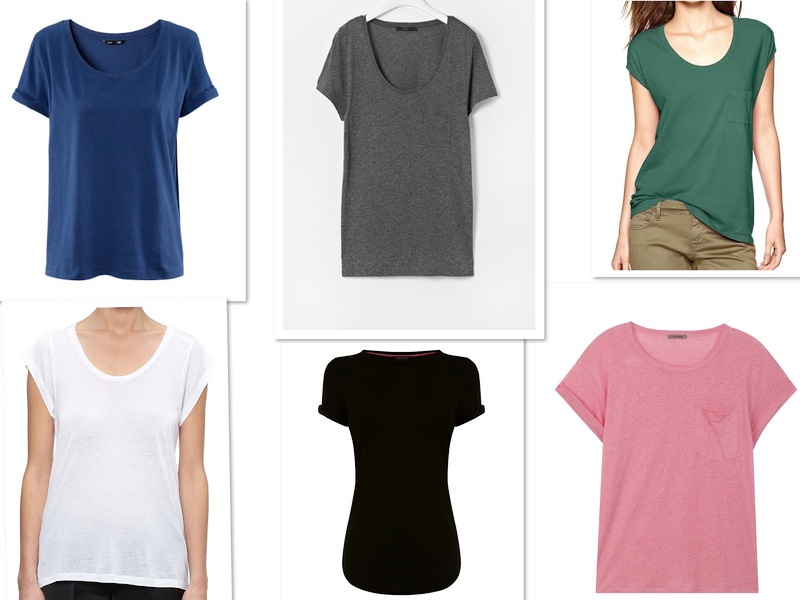 In my book, t-shirts should be cotton, sometimes viscose, and sometimes a mix with linen or silk, but never polyester. 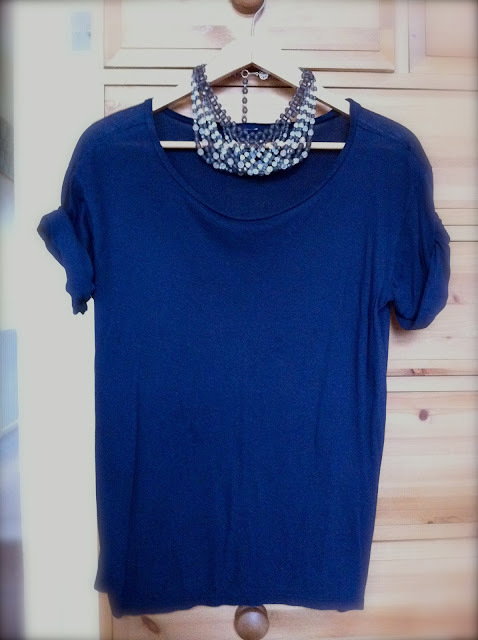 A slightly scooped-neck makes it more day-wear than sports-wear. My favourite all-time t-shirt is this navy one from GAP, as my friends will know, as losing it recently caused me to email every single person I'd been to visit over the last six months. I was re-united and have been wearing it fondly since. 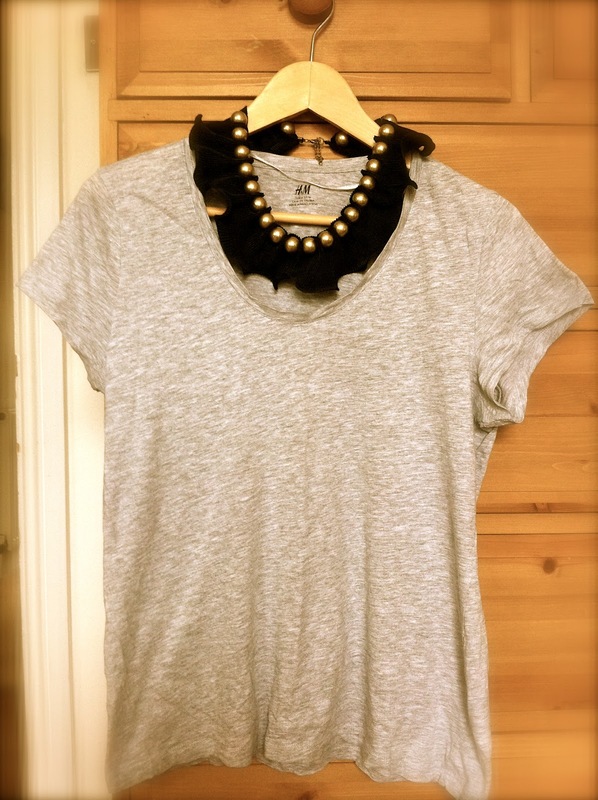 And for the price (£6.99), this grey marl t-shirt from H&M has punched well above its weight. Here are some of the good options out there.